New Functions, Improvements and Bug Fixes – The New MAP 3.7 Out Now! 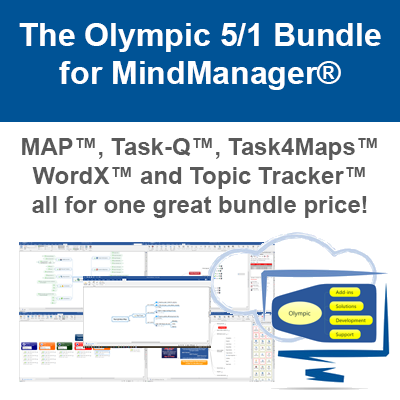 The latest edition of MAP for MindManager, MAP 3.7, is out today and available to download and purchase online. 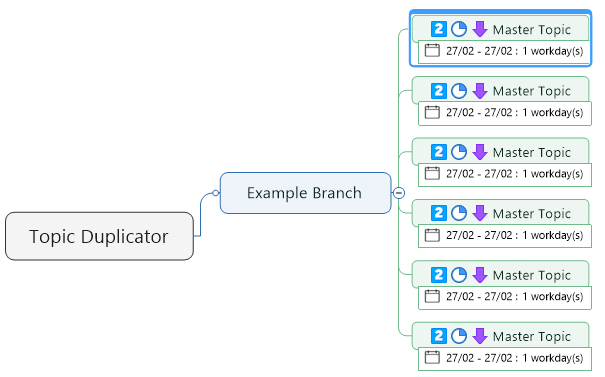 This new edition introduces a new function, Topic Duplicator as well as several improvements to the Extended Properties and Multi-Dependency functions. We have also fixed several minor bugs. 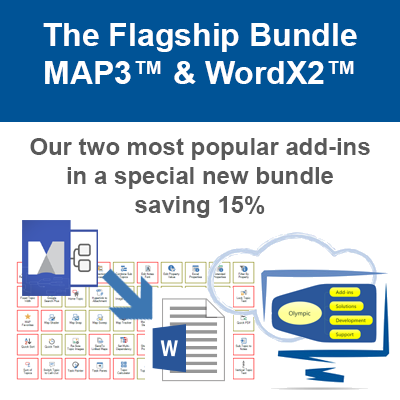 We have added the ability to generate duplicate Topics which rapidly speeds up Map creation, especially when creating templates or demonstration maps. With a Topic selected you can enter the number of copies you wish to generate and let MAP do the rest. Select the Topic that you wish to create multiple copies of and then click the Topic Duplicator command from the MAP Ribbon menu or Taskpane. You should then see a dialog asking to enter the number of copies you wish to create. Use the up/down arrows to increase or decrease the number of Topics required. You can also type a number directly into the box. Click the Duplicate button to have the Topics created and placed into your Map. Once complete, your new Topics will appear. Note: Topics are always created at the same level of the currently selected Topic. 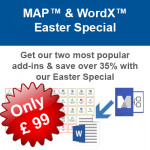 Take advantage of our Easter Special and save over 35% when you purchase our two best selling add-ins for just £99. MAP 3.7 will now utilise the Working days from the MindManager application calendar. This means that Extended Properties that use Start and Due dates will be calculated accordingly. Calendars can be updated at application level or Map level depending on your needs. If you set dates at application level, (through File->Options), these dates will apply to all Maps. Dates added through the Task Info. Taskpane will be added at Map level only. 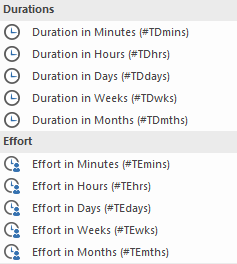 There is a new Extended Property available to calculate how much a Task is on Track in relation to its Duration and the Progress Percentage Complete. This now enables you to see at a glance which Tasks are under/over performing and adjust your Project Plans accordingly. You can also use this Extended Property with the new Conditional Formatting available in MindManager 2018 to highlight Topics depending on this status. There are now additional Extended Properties for both Duration and Effort values where used in the Map. Properties can be created for Duration and Effort in Minutes/Hours/Weeks/Months and these will be updated automatically when the Extended Properties function is enabled. In MAP 3.7 we have added the ability to choose between “One to Many” and “Many to One” Dependency types. This can now be selected when the Multi-Dependency dialog is displayed. We had reports that the YouTube Topic functionality had stopped playing videos in the Taskpane over the last few months. This was caused by changed to the way Google allow embedded videos and deprecating their support for the old Flash viewer. We have found a work around to this and videos will now once again play in the Taskpane. The only difference is that the video player size will be calculated when the video is first played. If you re-size the Taskpane after the video has been started, you will need to click the play icon on the Topic again to have the player accommodate the new Taskpane width/height. We had reports of an issue where MindManager would fail to close properly when exited after using the Excel Properties. We have fixed this issue and the application should now close cleanly without causing further issues.